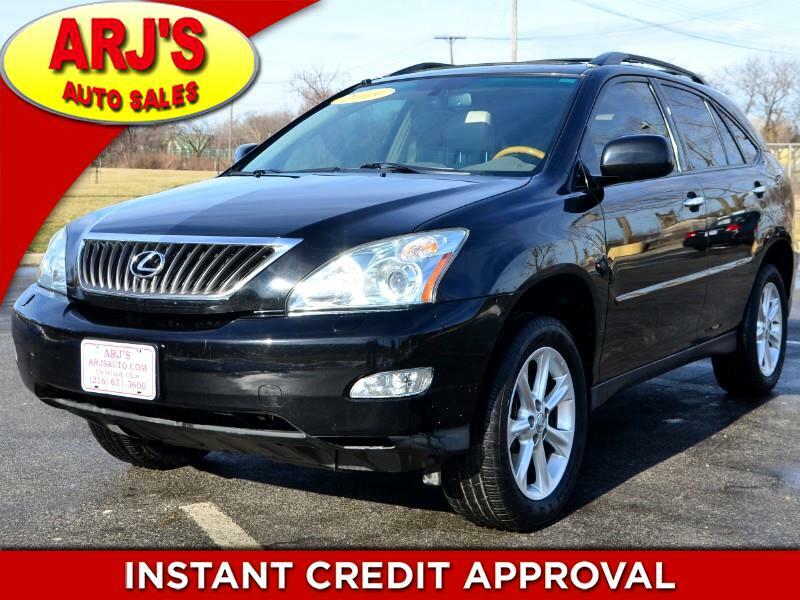 ARJ'S AUTO SALES IS PROUD TO PRESENT THIS 2009 LEXUS RX350 AWD THAT’S BRIMMING WITH LUXURY! CLEAN CARFAX WITH 24 SERVICE RECORDS. THE OBSIDIAN BLACK METALLIC EXTERIOR OPENS TO A SOFT TAN LEATHER INTERIOR WITH WOODGRAIN ACCENTS AND FEATURES EVERYWHERE. THE SPACIOUS INTERIOR CAN BE CONFIGURED FOR PASSENGERS OR CARGO. A MOONROOF, NAVIGATION, REAR CAMERA, DUAL ZONE CLIMATE CONTROL, CD, POWER, HEATED SEATS, AND STEERING WHEEL CONTROLS FOR THE STEREO & BLUETOOTH HIGHLIGHT THE INTERIOR. V-6 POWER AND EFFICIENCY COMES FROM A SMOOTH 3.5L V-6 WHILE AWD HELPS KEEP YOU ON THE PATH. THE LARGE ALLOY WHEELS HAVE GREAT TIRES. DOESN’T GET MUCH NICER!